When it comes to Valentine’s Day gifts, it can get really difficult and confusing for a lot of people. This confusion leads most of us to stick to red roses. Though red roses are beautiful, they have developed to be a cliché. They have become popularly associated with Valentine’s Day over the years as well. However, let’s face it, not all girls dig the red roses. Anyway, you have nothing to be afraid of, because no matter what flower you choose or what gift you pick, it is the thought that counts and its execution that matters. Since your love is unique and one-of-a-kind, so why not do something a little out of the box this year! We will present you with three best alternatives to roses that can steal the spotlight. The next best thing other than red roses can be a mesmerizing bunch of red tulips. They are exceptionally beautiful, refreshingly unique and so unexpected. Tulips are considered to be one of the most beautiful bunches in the language of flowers. Victorians considered the beautiful scarlet red tulips as a declaration of their love since ancient times. 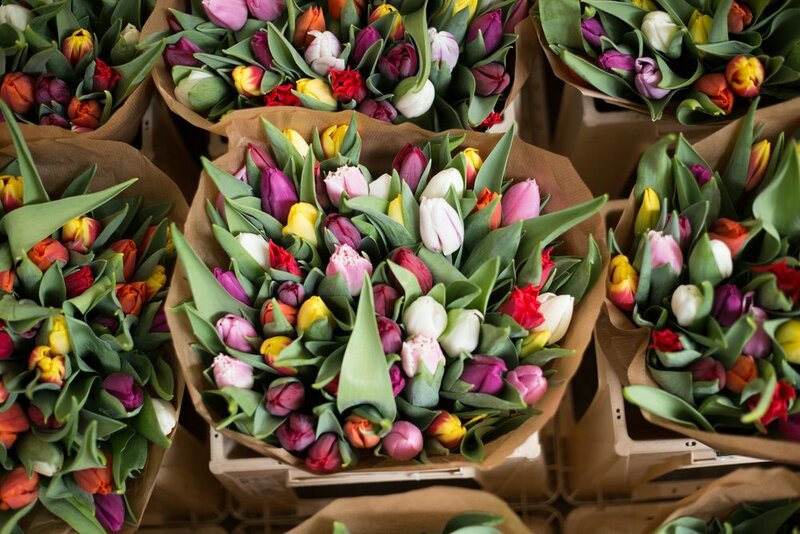 Gifting someone tulips is considered a symbol of ‘true love’, which is what makes them an ideal romantic alternative to roses. Tulips represent fresh beginnings, which makes them a simple and sweet choice for new relationships. They are elegant, affordable and are available in a lot of colors and varieties. The best part – they last longer in the vase! These are a perfect gift for couples of all time – the old-timers as well as the new fresh love blooms. You can get them delivered online for the fastest flowers delivery. We all know that sunflowers symbolize the sun itself. These big bright sunflowers suggest warmth and happiness. They are known as a source of inspiration for poets, painters, authors and musicians. Gifting your Valentine a bouquet of these big-faced yellow beauties can be extremely refreshing – a beautiful sight for the sore eyes. They are also known to make a statement of adoration, loyalty and longevity to your loved one! Sunflowers have been worshipped by the Aztecs who were also known to perform sacrifices and rituals to please their gods of beauty. A stunning sunflower is all you need to brighten up anyone’s Valentine’s Day. Since they inspire happiness, of course! These buds of sunshine can instantly put a smile on her face. They are a perfect choice because they can go on their own and can also blend perfectly, mixed with an arrangement of other wild flowers. You can get them delivered online for the fastest flowers delivery! Roses are red, violets are blue, but these sweet lilies are just the best fix for you. There’s something hypnotic about these gorgeous blooms that captivates us. These voluminous blooms, also known as Texas Bluebells, are known for their unparalleled beauty and their long shelf-life. Grab and enjoy these pinks and purples. They can enhance any environment – with their small and delicate bloom pops. You can getthem delivered online for the fastest flowers delivery!